1. 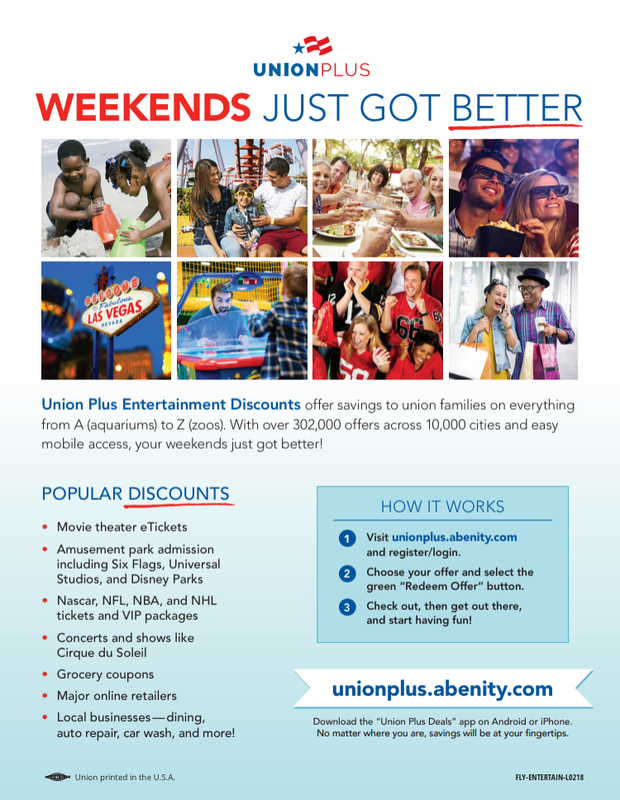 Visit unionplus.abenity.com and register/login. 2. Choose your offer and select the green Redeem Offer button. 3. Check out, then get out there, and start having fun! matter where you are, savings will be at your fingertips.